Dedicated to resonant, innovative storytelling, Red Shift is a professional choir of exceptional artists that offers audiences new perspectives of sound and meaning in our shared world. 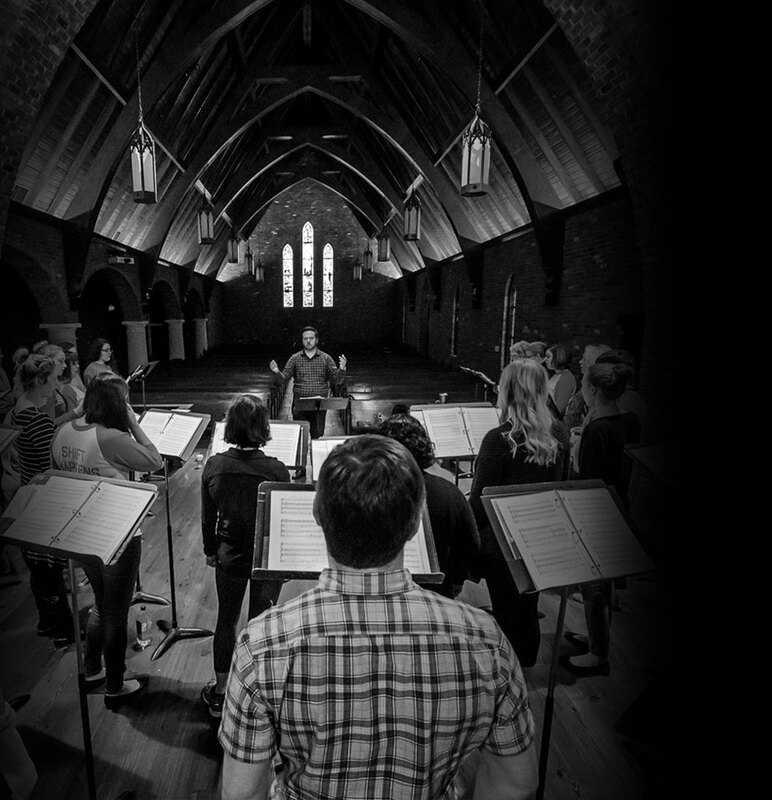 Founded in 2015, the choir is comprised of singers from Baton Rouge and throughout the nation who are dedicated to creative performances of virtuosic post-modern repertoire and forgotten choral works of the past. Red Shift strives to foster an appreciation and advocacy in its audiences of choral art music that transcends the expected and celebrates a diversity of time periods, styles, languages, spiritual traditions, and cultures. Initiatives to achieve these educational aims include research, commissioning and publication of new music, community presentations, exhibitions, and interaction and engagement with audiences. Red Shift Choir is a 501c3 organization.